My earliest memories of faith playing a role in my life harken back to being tucked into bed as a toddler, hearing my dad sing me another verse of “Jesus Loves Me.” Like all two-year-olds, I expected it as a part of our routine every single night. I think my dad might have even invented some new verses just to appease me! Throughout my childhood, I had my first glimpses of why we were Christians, and what that meant, through how my parents treated others and how they even talked about them. Decades later, still hardwired into my being are these truths: 1) Faith is important and 2) Take the opportunity to share why both in what you say and what you do. I saw this played out first-hand: I saw meals made for the hungry, our doors opened to the lonely for lunch, and a beloved KitchenAid mixer given to someone who could use it more than us. This modeling of the Christian life during my childhood shaped how I approach my life, family, and community today. The testimony of the faithful doesn’t have to be extravagant. Oftentimes, it is in the simple day-to-day living of our lives in small acts of love that we first see Christ and are attracted to Him. For you, that may be helping with an extra project at school or work, or maybe it means reaching beyond your comfort zone to include someone in a playdate or ladies’ night out. The process of being saved is a part of everybody’s story, wherever we are on our journey. In today’s First Reading Saint Paul writes, “But by the grace of God I am what I am, and His grace to me has not been ineffective . . . 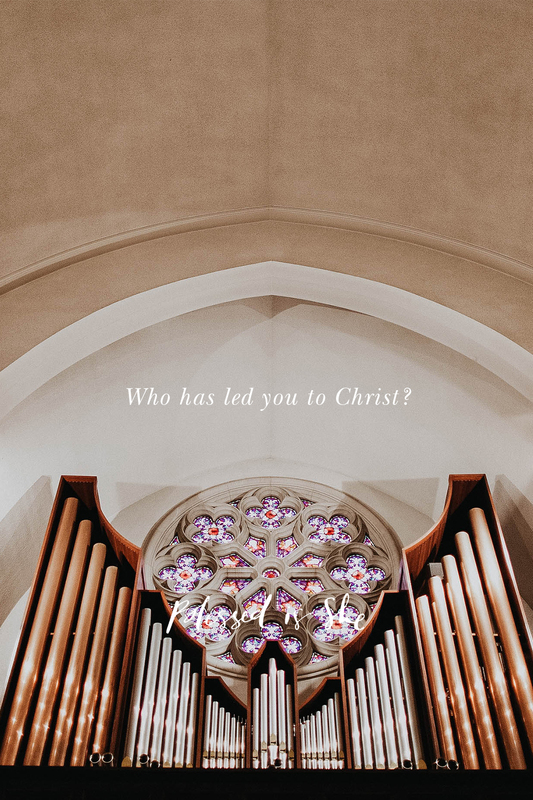 Therefore, whether it be I or they, so we preach and so you believed.” (1 Corinthians 15:10-11) Who has led you to Christ on your faith journey? Whatever it was that drew you to them and encouraged you to keep pursuing Him, remember to share that with those along the way. Say a prayer of thanks today for those who have been an example and encouragement in the Faith. Previous Post An Impossible Standard?